Worst Tax Season In 35 Years! The Budget. Congress has shrunk the IRS budget over the past five years, while at the same time requiring the agency to administer even more complex laws. The IRS topline budget for 2015 is about 10% less than it was in 2010. But the real drop is actually steeper since the 10% doesn’t account for cost increases that have occurred in the past five years. During roughly the same period, the number of IRS personnel has fallen by at least 8%. Furthermore, the amount of money the agency has for staff training has dropped by more than 85%. What this means is that the average taxpayer has to 1) wait almost an hour to speak to a representative, 2) greater than 50% of taxpayers that call the IRS wind up hanging up without getting an answer and 3) even us practitioners can’t get our work/cases solved in the same amount of time with the agency. Frustration on all fronts would probably be an understatement. More Work and Complexity. This tax season is the first where the IRS has to administer the premium tax credits and individual mandates under the Affordable Care Act. Firsts are never perfect, of course, so it should be expected that this will be long, painful and not easy for most taxpayers or professionals. Need help figuring it out? See the first pain point above! Tangible Property Repair Regulations. New and effective for 2014, these regulations changed how we evaluate repair costs as they relate to tangible property. If you file a Schedule C, E or F, you have the potential to experience what may be the single biggest pain in the arse of the entire 2015 tax season. 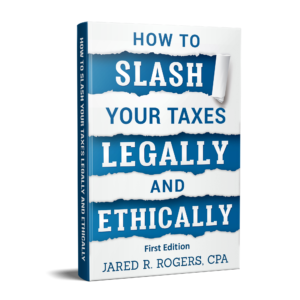 While the IRS gave small businesses a reprieve from having to fill out Form 3115, Change in Accounting Method, for those with many years’ worth of assets on their books (e.g. landlords), you may still want to fill one out. This is because 1) you will forego audit protection if you don’t submit it with your return and 2) you may need to calculate a Section 481 adjustment if things are still being depreciated and shouldn’t. The best part of Form 3115? It has to be sent in via paper to Ogden Utah prior to you filing your return and then again when you electronically file it. With that being said, the average tax preparer is probably completing more Forms 3115 this year than in all of their career. Needless to say, all of the above hasn’t made for an “easy” tax season to say the least. So if you know someone in the tax industry, make sure you give them a hug or tell them that it will be alright. Many of us could use the love! This entry was posted in General Ramblings and tagged 1986 Passive Activity Loss Rules, 2015 Tax Season challenging, 2015 tax season is painful, Complicated Tax Code Contributes to Challenging Tax Season, Form 3115, IRC Section 469, Rev. Proc. 2015-20, Tangible Property Repair Regulations, Why 2015 tax season is so challenging, Worst tax season ever, Worst Tax Season In 35 Years on March 23, 2015 by Administrator.